Thera Band Resistance Bands are color coded level resistance bands that provide positive and negative forces on the muscles to help improve strength, range of motion, and cooperation of muscle groups. Available in 5 different colors or levels of resistance. 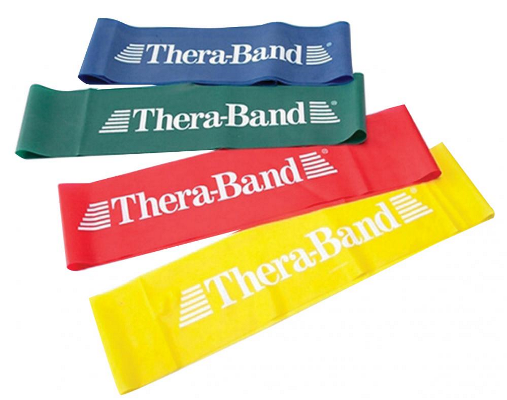 Thera Band Resistance Bands are available in 5 different color levels of resistance. Proper use of these systems for resistive exercise provides both positive and negative force on the muscles, improving strength, range of motion and cooperation of muscle groups. Color-coded progressive resistance gives at-a-glance documentation of progress from one level to the next.